A judge said DC, Maryland officials can access hotel records in emoluments case. A federal judge in Maryland will allow Maryland and D.C. officials access to the Trump Organization’s business records, dealing another blow to President Donald Trump’s effort to stop a lawsuit claiming his -- and his family’s -- ownership of a Washington, D.C., hotel have put him at odds with the Constitution's prohibition on government officials accepting payments from foreign states without permission from Congress. 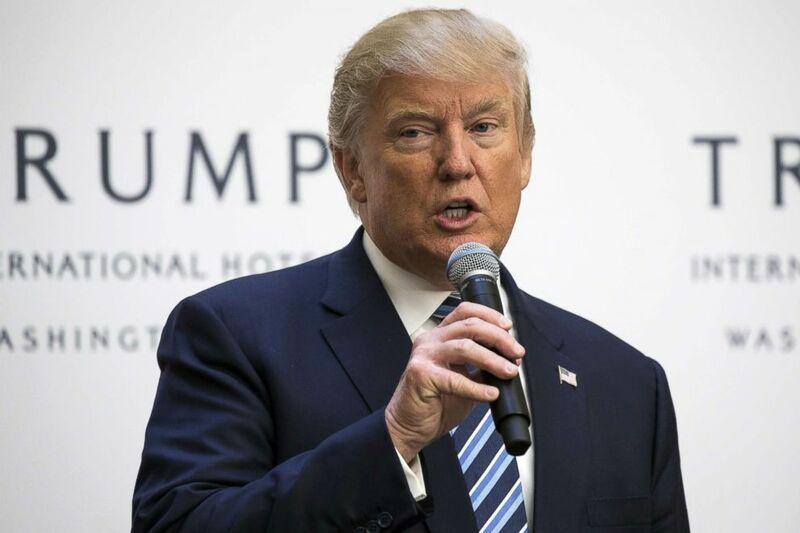 The plaintiffs in the case, the attorneys general of the District of Columbia and the state of Maryland, have alleged that their local businesses have suffered as a result of foreign governments seeking to do more business with the Trump International Hotel. The government insisted that Trump has done nothing wrong, and in particular, that there has been no quid pro quo. (Samuel Corum/Anadolu Agency/Getty Images, FILE) Then Presidential Candidate Donald Trump speaks during the opening ceremony for the Trump International Hotel in Washington, Oct. 26, 2016. Senior U.S. District Court Judge Peter Messitte on Friday denied the Justice Department’s request to put the case on hold while the administration seeks an appeal, and he ordered the plaintiffs to present a schedule for accessing hotel records and other confidential materials within 20 days. In a memorandum supporting his decision, the judge emphasized his continued disagreement with the Trump administration's interpretation of the Constitution's Emoluments Clause, enacted out of concern officials overseas might take gifts or bribes. “Even now it remains unclear, as it did in connection with the President’s original motion to dismiss, exactly how he came to his view of the meaning of ‘emolument,’” the judge wrote. 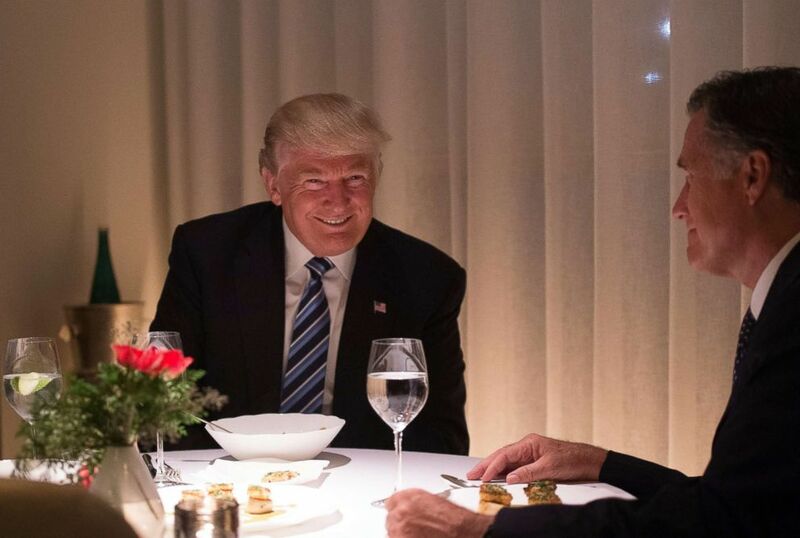 (AFP/Getty Images, FILE) Then President-elect Donald Trump dines with Mitt Romney at Jean-Georges restaurant at Trump International Hotel and Tower, Nov. 29, 2016 in New York. The plaintiffs have also sued Trump in his personal capacity, aiming to get his tax returns, but Judge Messitte has essentially sidelined that part of the case, and it is unclear what will happen with it, according to two people involved in the lawsuit. A second case involving claims that President Trump violated the emoluments clause is currently wending its way through a federal court in Washington, D.C. The judge in that case ruled in late September that the plaintiffs - more than 200 Democratic members of Congress - have standing.